Are you looking for the perfect portable workspace to use in your salon, spa or barbershop? 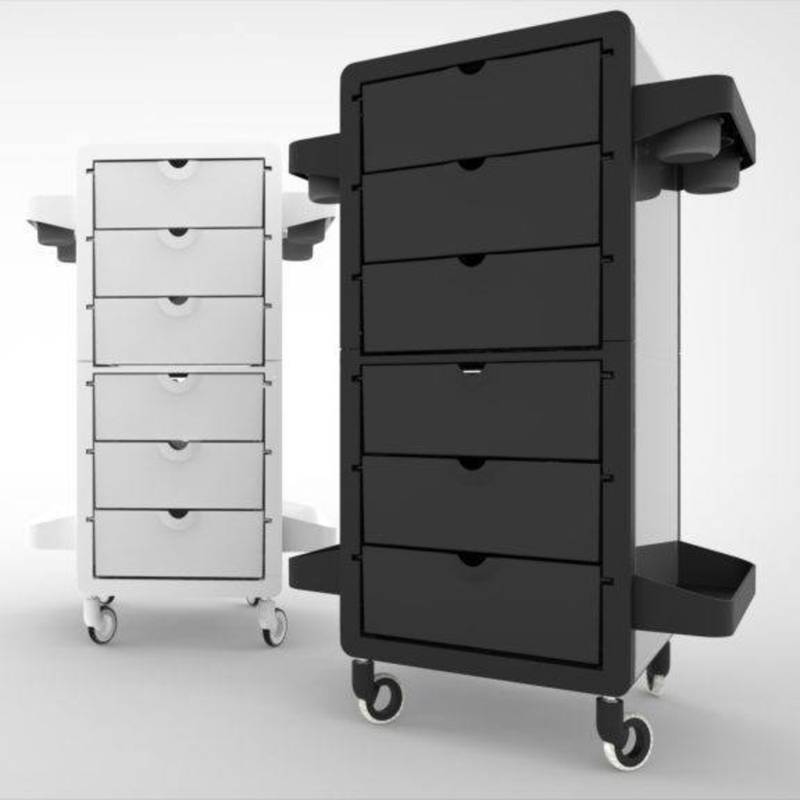 The Publik Beauty Salon Trolley with 6 drawers is perfect for all beauty needs! The top features a space to sit the drawer in use. The sides have 4 accessory trays with built-in appliance and brush holders with removable cups. This cart has easy open drawers providing easy access to all of the styling needs from both sides. The Publik Trolley is made with ABS plastic which has a strong resistance to corrosive chemicals and a strong shell. The Trolley is perfect for everyday use in a beauty salon, Barbershop, Spa, or wherever your needs arise. It has all of the accessories and styling needs in one place. Appliance Holders (2) 2.5" Openings for Blow Dryers, (4) 2.25" with removable trays), (2) open accessory trays on the lower level of the outside wall. Looking for a classic wood style? Check out the Publik Wood Trolley with 6 wood finish options!